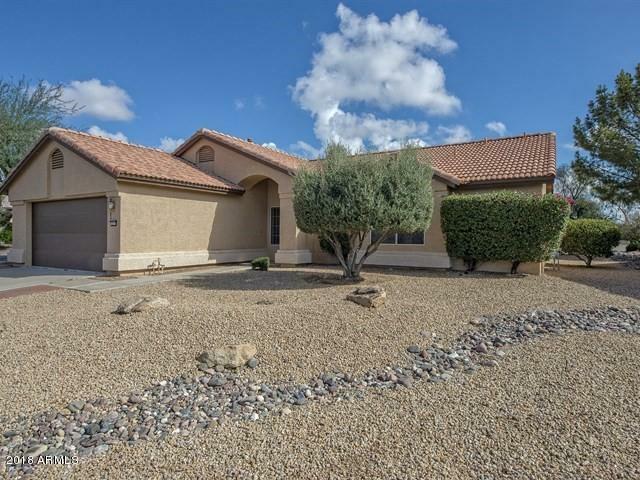 Amazing Panoramic Golf Course View home on a corner lot. The large pavered patio has a built in Gas Barbecue. The home features on open great room design floor plan with an updated kitchen. New cabinets with pull outs, granite counters and new appliances. Bathrooms feature granite counters & new cabinets. 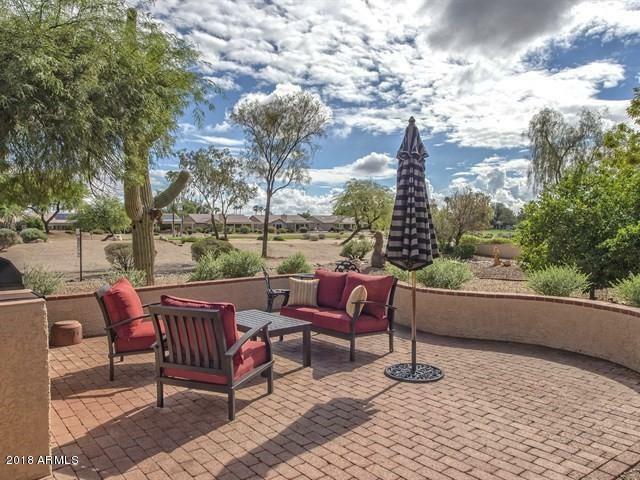 The Arizona room provides a wonderful place to relax and enjoy Arizona's climate. The spacious master bedroom has an updated bathroom and walk in closet. There is a built in wine cabinet &cooler. 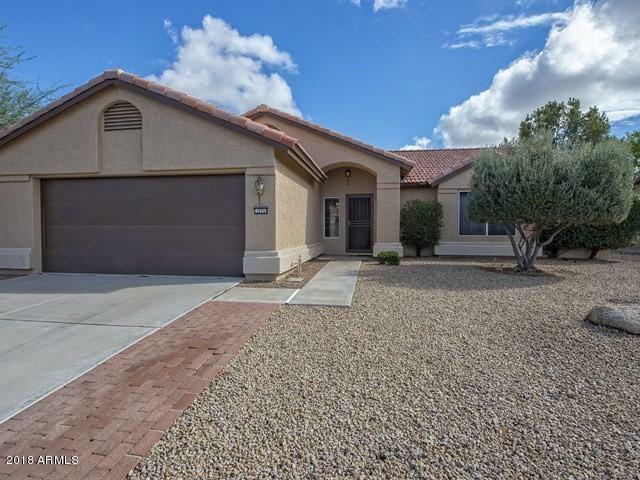 This 2 bedroom home is available furnished and turnkey with a golf cart. Living Room chair, Black Chest, Wall Art, Paintings & Oriental Rug do not convey. Enjoy the PebbleCreek Country Club and active adult lifestyle. 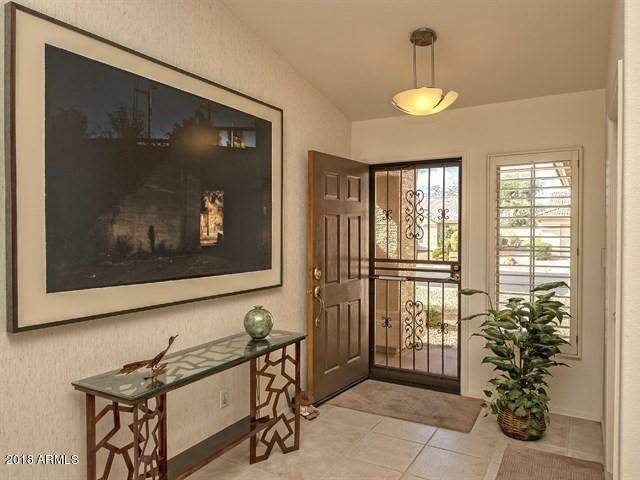 Walking distance to the club house, work out facilities and bocce court.